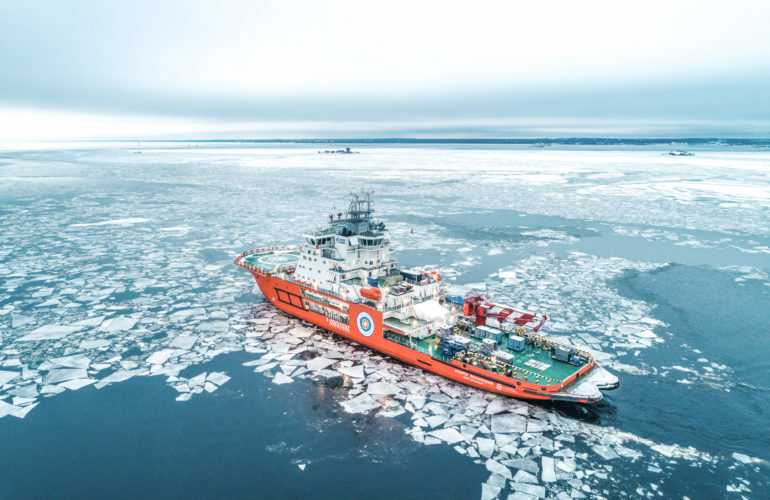 The design of Aker ARC 130 A is a further development of Aker ARC 130 (Polaris), which is adopted to the Arctic conditions and became Aleksand Sannikov class. A second vessel of the class, Andrey Vilkitsky is delivered in December 2018. Both vessels will be used for support operations in Ob bay in Russian Arctic.